Diversity is having a momentum; whether it is because more people are starting to realise that we can no longer live in a world that only represents a single group, or because current politics have inspired en encouraged (more) people to speak up and act, it doesn’t matter. What matters is that the world is finally starting to acknowledge the need for a more diverse everything. Luckily, the literary world is not staying behind. More and more diverse authors or works are being published and make it on the best-seller list. One of these authors is Nicola Yoon, who grabbed almost everyone’s attention with her debut novel Everything, Everything that will debut in cinemas very shortly. Her second novel, The Sun is Also a Star, was highly praised as well and tells a story that is extremely important in our society today. The Sun is Also a Star follows Natasha, an illegal Jamaican immigrant in the United States facing deportation, and Daniel, an American-born Korean struggling to meet his parent’s high expectations, throughout one extremely eventful day. I will try my best to avoid giving you any spoilers, as I highly encourage you to read this book yourself. However I will share with you why I think this story is so important. Both main characters’ parents lived the majority of their lives in different countries, before moving to the United States. The two families had very different motives to leave their country of birth behind and also their adaptation to life in the United States is very different. It gives readers a great insight into the mindset, motives and goals behind immigration. Natasha and Daniel, both (mainly) American raised but with different cultural backgrounds. The book does such an amazing job in explaining/demonstrating what it is like to be torn between two cultures, never truly fitting in and to constantly feel the need to justify or explain yourself. Again, the two main characters both have very different experiences, which demonstrates the complexity of immigration and its effects. Never judge people, is a phrase that came to mind plenty times when I was reading The Sun is Also a Star. The story is told from many perspectives, giving an insight into other characters’ mind and explaining certain types of behaviour. It truly shows that judgement is toxic, as everyone has a story that led to their actions, which is not always as obvious after seeing or talking to someone. The story of Natasha and Daniel demonstrates judgement, racism and ignorance both from white people as from people of colour. The fact that Nicola Yoon included this behaviour into her novel is so important. The battle against racism is mostly focused on white people versus people of colour, but this is not the only form of racism that exists. Even in multicultural societies, people of colour discriminate against each other and this needs to stop just as quickly as the more mainstream racism. There were many interesting dialogues between the characters about life, its meaning and the choices people make. 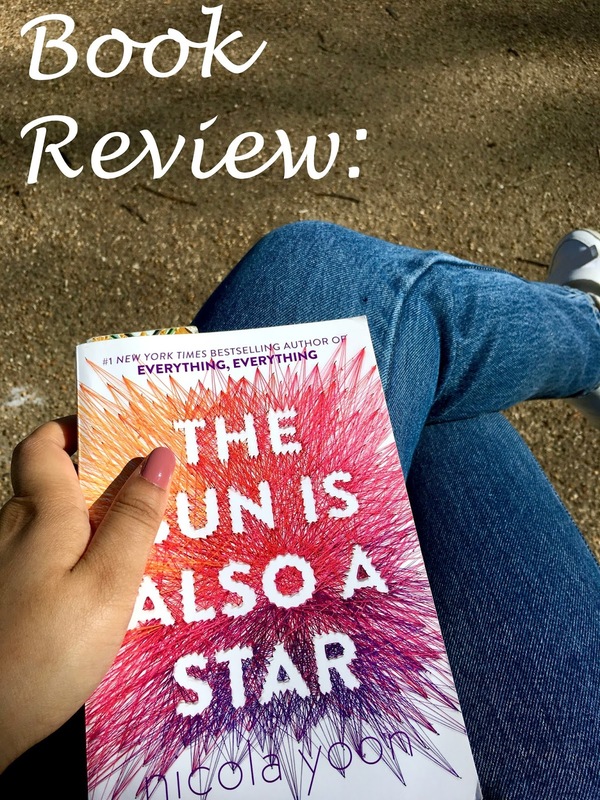 The Sun is Also a Star is a book that made me angry, laugh, cry and determined. I am determined to continue fighting for diversity, simply because it is the right thing to do.